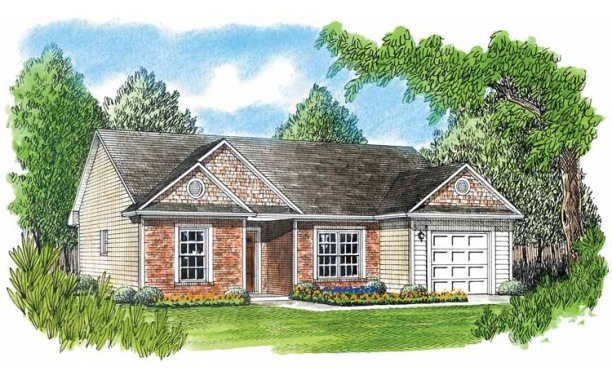 With brick, wood and siding, this home will captivate interest right away. An efficient layout reveals two family bedrooms–or use one as a study–at the front of the home; the master suite is tucked at the rear for privacy. The master bath will soothe and revitalize, and the large walk-in closet is sure to please. The family room opens to the dining room, with easy access to the open kitchen. The convenient laundry room is hidden in one wall of the kitchen.